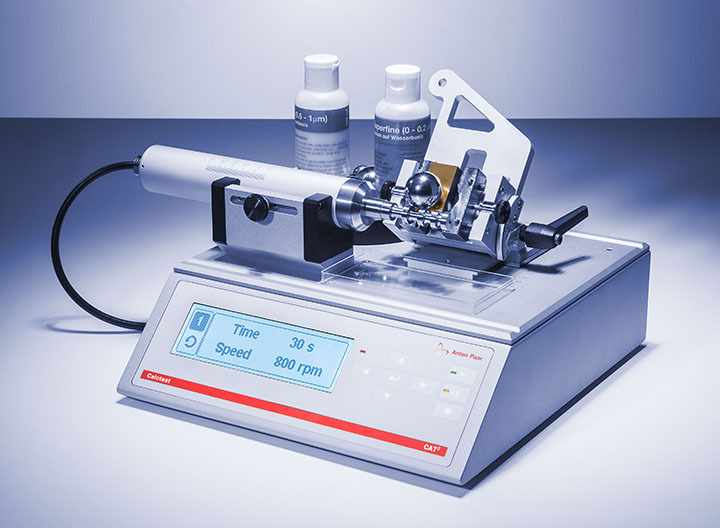 The Calotest instruments from Anton Paar provide quick, simple and inexpensive determination of coating thicknesses. 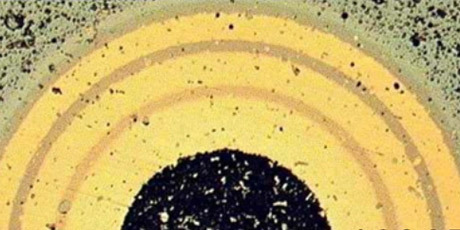 Employing the simple ball-cratering method, the thickness of any kind of single or multi-layered coating stack is accurately checked in a short time, in full compliance with relevant international standards. 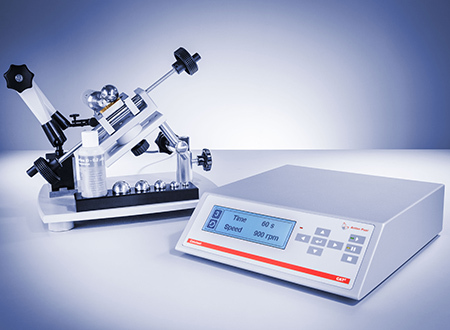 The ball-cratering method employed by Anton Paar's Calotest instruments is an easy, reliable way to assess the thickness of thin films. 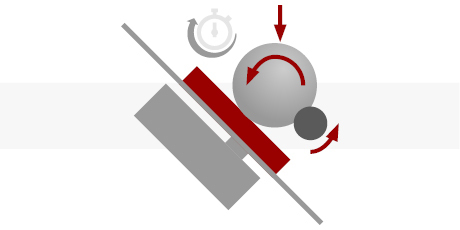 To this end, a small crater is ground into a coating with a ball of knows geometry, providing a tapered cross-section of the film when viewed under an optical microscope. 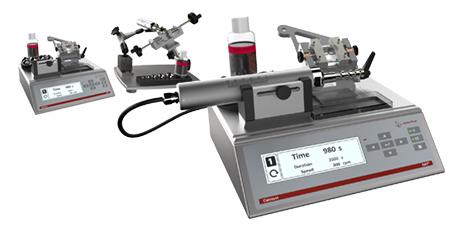 The Calotest instruments measure the thickness of coatings in a very short time of 1 to 2 minutes only. 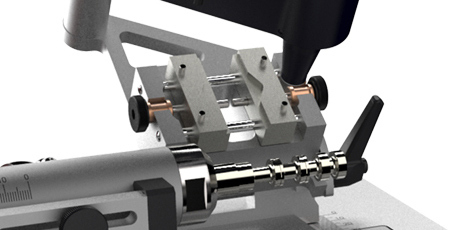 It is an ideal solution for any application in which a quick and precise measurement of coating thickness is required. 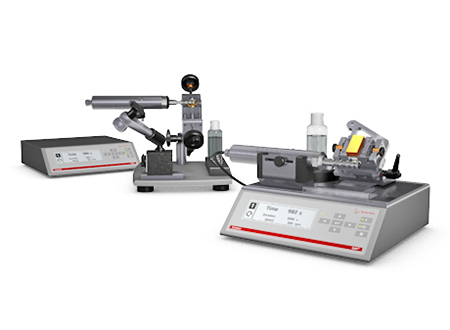 Anton Paar's Calotest systems can be used on flat, spherical or cylindrical samples. The different thickness calculation methods for these samples are based on ISO EN 1071-2. Determine the layer thickness of PVD, CVD, thin or thick coatings, transparent coatings and more. 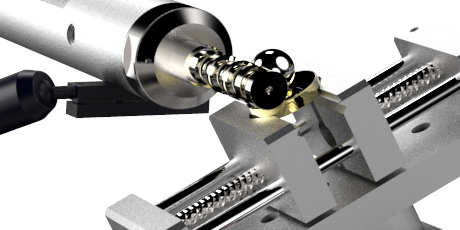 For particularly bulky samples which are too big to be mounted on a standard sample holder, the complete arm and motor assembly can be removed and directly clamped to the side of the sample using the magnetic foot provided. Go with the compact or the industrial Calotest – simply choose the product version that best suits your needs. Anton Paar provides a complete software for coating thickness measurement. This software allows you to swiftly analyze data and print out reports according the exact needs of your industry.